If your hair is becoming thin and brittle, or you’re finding an excessive amount of hair in your comb or on your pillow in the morning when you wake up, it may be time to talk to a specialist to find out why. If your hair loss is simply due to stress or medication side effects, finding a hair loss treatment will probably be an easy process. On the other hand, your hair loss may be due to pattern baldness, a genetic condition that affects both men and women and causes hormone shifts that make the hair weaken at the follicle. Since many of the hormones that bring on these changes are androgens, or hormones like testosterone that are often associated with male characteristics, men have access to a range of medical interventions. But women don’t have quite as many safe medical hair loss treatment options. 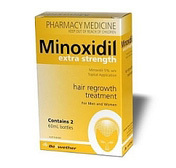 If you’re a woman and you appear to be losing your hair for genetic or hormone-related reasons (which can happen during pregnancy or menopause) ask your doctor about Monoxidil. This drug has been approved by the FDA as an effective and generally safe hair loss treatment for women. But keep in mind that medical hair loss treatments aren’t your only option. Surgical interventions like follicular unit transplantation (FUT) and follicular unit extraction (FUE) can also restore hair to thinning and bare areas on the scalp and eyebrows. Both of these treatments are safe outpatient procedures that involve minimal side effects, and both typically result in a complete restoration of a full head of your own natural looking hair. For more information on medical interventions and surgical hair loss treatment options that can slow your receding hair line and bring back your own natural hair, arrange a consultation with Dr. DiStefano’s team of hair loss treatment experts.